So far, the Quadricycle vehicles were only allowed for transport usage under the Motor Vehicle Act 1988. The Bajaj Qute will finally be available for sale. The Bajaj Qute can now go on sale. The Quadricycles will still have to meet the upcoming crash test norms. The Ministry of Road Transport and Highways has notified the insertion of the item 'Quadricycle' as a 'non transport' vehicle under the Motor Vehicles Act 1988. So far, the Quadricycle vehicles were only allowed for transport usage under the Motor Vehicle Act 1988 but this notification will now permit Quadricycles to be used as a non-transport or passenger vehicles. This move will certainly help manufacturers like Bajaj Auto India who have been fighting for the inclusion of the Quadricycle. 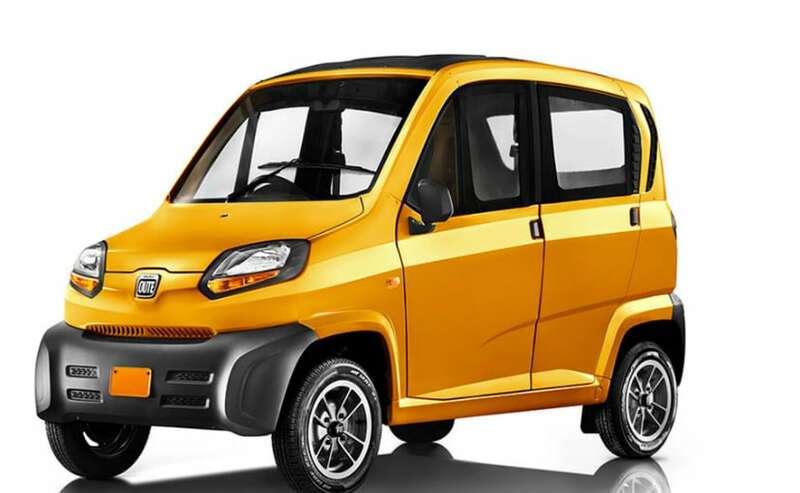 The Bajaj Qute will finally be available for sale and though the company already exports the quadricycle to other markets, it's inclusion in India will certainly see sales soaring. Earlier this year, the Indian Government had approved of the Quadricycle as a vehicle category. A Quadricycle is a vehicle of the size of a 3-wheeler but with 4 tyres and fully covered top hat like the one in a car. The size of the engine is near to that of a three-wheeler which makes it an affordable and comparatively safer solution for last mile connectivity. Technically, the Quadricucle vehicles will be categorised as A-Segment (entry) vehicles which measure less than 3.6 metres in length, cannot weigh more than 475 kg, and has an engine size of less than 800 cc. However, similar to all the vehicles sold in India even the Quadricycle vehicles will have to undergo a rigorous crash test and will have to meet the BNVSAP safety norms as well as the BSVI emission norms. The government has also approved full electric or hybrid models of Quadricycle vehicles but even those models cannot skip the stringent crash test norms. We hope Renault is listening and bring in something like the Twizy for the Indian markets. Moreover, similar to the below 100 cc gearless scooters, government has allowed teenagers of 16 years and above to drive the Quadricycle vehicles.